One of the trendiest things happening in the beauty world right now is Korean skincare. Korean women are known for having smooth, flawless skin that appears to be pore less. Of course, the rest of us want to know what they are doing to achieve such beautiful skin. Korean women swear by their multi-step skincare regimens. 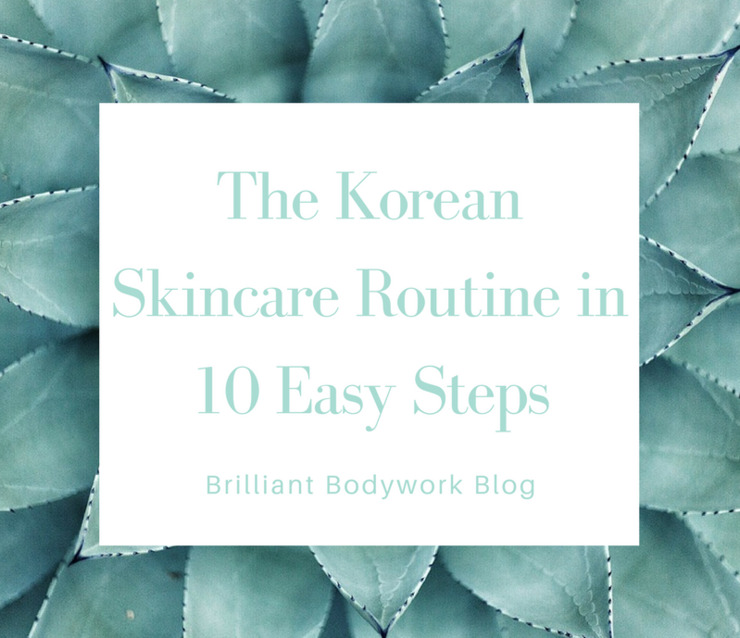 Today we are going to teach you how to follow a 10 step Korean skincare routine at home. Using an oil cleanser is much more effective than using a makeup removing wipe. It helps ensure the removal of all makeup. To use massage over your dry face and neck to help breakdown makeup, dirt, and grime from the day then, splash some warm water to help emulsify the cleanser. Massage over face and neck one more time then rinse off. We recommend the Glo Skin Beauty Essential Cleansing Oil. This part of the Korean skincare routine is known as double cleansing. That's because the 2nd step of the routine is to cleanse with a water-based cleanser. Wash your face with the water-based cleanser to remove any remaining residue and impurities the oil cleanser may have left behind. We recommend the Purifying Gel Cleanser for this step. Exfoliation helps to slough off dead skin cells that clog pores and also make it more difficult for the active ingredients in skincare to fully absorb into the skin. When you exfoliate be sure to gently massage the exfoliant into the skin so as not to cause damage from being too rough. Let the exfoliant do the work for you. You may not need this step daily, for people that have sensitive skin it is too abrasive to do every day. It is important to do this step at least twice a week to help maintain clear, polished skin that is soft and smooth. We recommend the One Fine Day Flawless Face Polish Shea Sugar Scrub from Farmhouse Fresh. Toners support your skins protective barrier and balance your skins pH while also helping the skin to absorb other skincare products more deeply by dampening the skin and allowing the pores to absorb better. We recommend either the Glo Skin Beauty Conditioning Mist to hydrate, nourish, and prep skin or the Phyto-Active Toning Mist to deeply hydrate and support skin. Essences are a kind of toner/serum hybrid, they are less concentrated than serums and are traditionally used to add another layer of hydration to the skin prior to applying serums. They are typically lightweight, hydrating, and aid in skin repair and cellular turnover. We recommend the Glo Skin Beauty Cyto-Luxe Face Essence. Treatments are specific skin care products like serums, boosters, and ampoules that have concentrated levels of active ingredients to target and treat specific skin concerns and issues. For example, you may want a serum that targets anti-aging, fine lines, dull skin, hyper-pigmentation, or large pores. These are the products that have muscle, they do the heavy lifting and work to fix any skin issues you want to treat. Apply by gently massaging or tapping into skin. Two of our favorites are the Farmhouse Fresh Wine Down Recovery Serum and the Glo Skin Beauty Phyto-Active Vitamin C+ the ultimate age defying antioxidant serum. Masks are a skin-nourishing step that boosts your skincare routine by allowing your skin to absorb extra active ingredients and hydration. Masks are super easy and can be fun or relaxing to use. Typically, you will apply them and leave them on for a certain amount of time, usually 15-20 minutes. Make a relaxing ritual of applying your mask 1-2 times a week. We love the masks from Farmhouse Fresh, they have a great selection of decadently scented masks. The skin around the eye area is extremely delicate and thin. Eye creams give the skin in this area extra hydration and protection to keep it soft and healthy. Use your ring finger to gently apply eye cream around the eye area. We love Crow Catcher from Farmhouse Fresh. Moisturizer is the step that helps keep your skin hydrated and healthy and healthy, hydrated skin is skin that looks dewy and glowing. Moisturizer works to seal in moisture, plumping skin and smoothing fine lines. If you need extra moisture, add an overnight moisturizer to your before bed routine. It is important to find the best moisturizer for your skin type. If you don't know your skin type set up a facial with one of our skin care specialists and they will be happy to help recommend your ideal skin care products that you can incorporate into this Korean Skincare routine. We like the Glo Skin Beauty Oil Free Moisturizer and Farmhouse Fresh Three Milk Ageless Moisturizer with Firming Peptides. This step is soooo important for daytime, even if you think you will be outside just a few minutes or if it is cloudy slather on that sunscreen. This is one of the easiest and most effective ways you can delay signs of aging in your skin and is quick and easy to apply. Apply every morning and reapply throughout the day as necessary. Do this step last to fully shield skin without it being diluted by the other products you applied. We like the Face Reality Daily SPF 30 Lotion.